Party joint secretary Surendra Jain expressed hope that the government would bring a bill in the winter session of Parliament commencing from December 11. NEW DELHI: Ahead of the December 9 Ramlila ground rally to press for legislative route for the construction of Ram temple at Ayodhya, the Vishwa Hindu Parishad (VHP) said that the outfit was enlisting support of all members of the Parliament cutting across party lines, and would also seek an appointment with Congress president Rahul Gandhi. "A number of Congress MPs whose names couldn't be divulged currently, have expressed support for the construction of the temple and the legislative bill, though stating that they will be bound by the party whip. We will also like to meet the Congress president for which time would be sought soon," said VJP joint secretary Surendra Jain, while speaking to reporters. The VHP leader expressed hope that the government would bring a bill in the winter session of Parliament commencing from December 11. "Those who are still sceptical about the bill would soon change their opinions, as five km radius of the Ramlila ground on December 9 would be full of Ram bhakts," said Jain. He added that RSS joint general secretary Suresh (Bhaiyyaji) Joshi would be the main speaker at the Ramlila ground rally for which month-long preparations have been going on. "Three lakh food packets are being arranged for the rally," said Jain and added that the outfit has so far met all the state Governors, besides scores of members of Parliament cutting across party lines in the drive to enlist support for the legislative solution to the issue. Jain reiterated that the VHP would abide by the decision of the 'Dharam Sansad of saints' to be held on January 31 at Prayag in the event the legislative bill is not passed by the Parliament to pave the way for the construction of a grand Ram temple at Ayodhya. 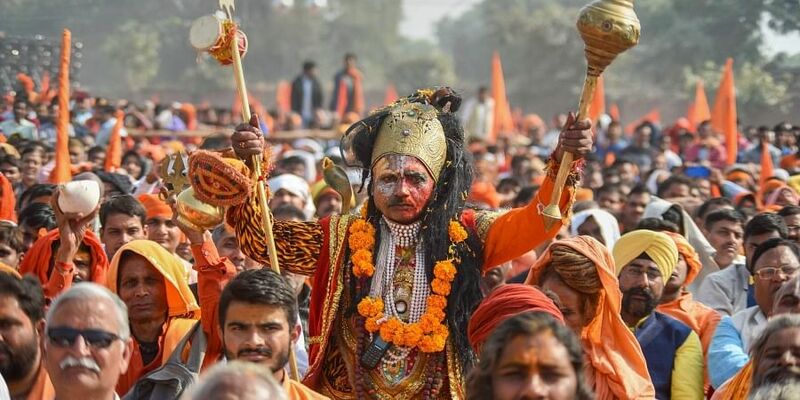 He refuted the perception that the saffron outfits have spurred the Ram temple issue on the poll eve saying that the campaign has been launched as former Chief Justice of India (CJI) Dipak Mishra couldn't take up the hearings on the pending case.